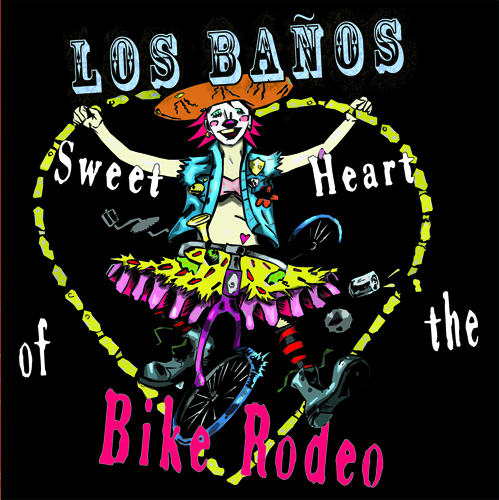 Los Baños is the bike rodeo band, providing a lively backdrop of mariachi-country-punk to Heavy Pedal Cyclecide Bike Rodeo events and club gigs. You can hear some of our older recordings on MySpace. If you would like to book Los Baños for your wedding, Bar Mitzvah, or other celebration, you can contact us through our Booking Form. Buy the new CD “Sweet Heart of the Bike Rodeo” $12 Free shipping! CD features 11 songs of bike inspired mayhem.